Genuine Swarovski Xilion enhanced 2058 & 2088 foiled Flat-Back crystals. They can be used to to decorate nail art, personalise mobile phones, cards, i-pads and much more. The product must be applied with glue, Gem-tac is recommended. Women’s 16mm Golden Shadow Crystals From Swarovski® Drop Pear Earrings. Genuine Vermeil: 24K Gold Over Sterling Silver. Stamped 925. 3gr Total Weight. 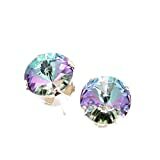 Women's Golden Shadow 16mm Crystals From Swarovski Hand Crafted Earrings. Finished in 24k Gold Over Sterling. Lever Back. Stamped 925. 3GR Total Earrings Weight. 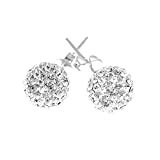 Sterling Silver 925 8mm, Diamond Chip Effect, AAA Crystal Ball Stud Earrings. Top Quality. Boxed. 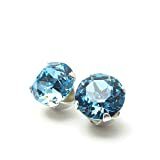 925 Sterling Silver Stud Earrings set with Aqua blue Swarovski Crystal Stones. Gift Box. Made in England. Beautiful jewellery for very special people. 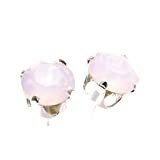 925 Sterling Silver stud earrings made with sparkling Rose Water Opal crystal from Swarovski®. London gift box. 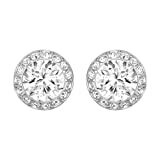 925 Sterling Silver stud earrings made with sparkling Starlight crystal from Swarovski®. London gift box. 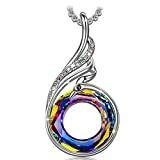 Please note: bling.co.uk lists products sold via Amazon.co.uk. Please check product suitability before ordering. Before we begin further development, we are considering selling the bling.co.uk domain name. ©2019 - bling.co.uk is owned and operated by SafetyNet Systems Ltd.